Georgetown at the south end of Seven Mile Beach is a jewelry shopping Mecca and is lined with funky restaurants where you can sample some local Caymanian cuisine, such as lip-smacking barbecued jerk ribs and chicken. Not to be missed is the fish market right on the beach by Georgetown, where charismatic locals spin sea-yarns and sell fresh-that-day mahi mahi, snapper, and wahoo. Courtesy of the calm water and casual atmosphere, Seven Mile Beach is known as one of the most family-friendly recreation sites in the Caribbean. 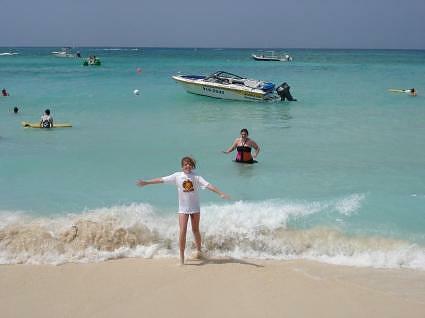 The warm water has a sandy bottom, making it a great place for children to swim. Beloved by the hippies of the 1960s, Seven Mile Beach is still as beautiful as ever, but it’s no longer the idyllic retreat it once was. Resorts now line this beach, attracting an international crowd. One of the most popular spots on Seven Mile Beach is simply known as the Public Beach; a name that implies that the rest are private. 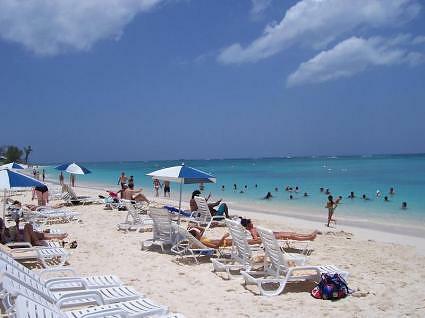 However, despite what anybody may try and tell you, all beaches in Grand Cayman are public . When you walk north from Harbour Heights, it’s quiet, calm, and you will feel like Seven Mile Beach is all yours. The Westin is a resort in the true sense of the word, in that its in-house facilities tempt you to remain there and not move too far. There is a swim up bar, large pool areas, Jacuzzi and a full service spa for top-to-toe pampering. 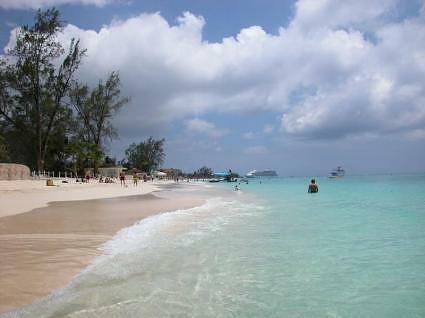 Seven Mile Beach offers Grand Cayman ‘s visitors its greatest resorts, restaurants, nightlife, water sports and golf. With all of the amenities that you’d expect from a luxury condo resort, including 2 sparkling swimming pools (one is shallow for small children), a whirlpool, a night-lit tennis court, exercise facilities, and gas BBQ’s for guests to enjoy. Come and experience this private sanctuary nestled amidst meticulously manicured pathways and tropical blooms. The on-site dive shop is open daily from 7am to 5pm. There are many dive shops in Georgetown and at major hotels. The South Wall offers shallow diving in exotic coral playgrounds. Friendly service, a nice poolside restaurant, clean well kept rooms, and a Don Foster Dive shop next to the pool. There is even a large sandbox in a shady spot near the pool where small children can entertain themselves. You’re able to see the “Walls” that divers speak of where the ocean seems to drop-off to an endless gray abyss. For those who prefer to stay above, there are Glass Bottomed boat rides available in Georgetown. For diving or snorkeling, Grand Cayman beaches offer diversity of protected marine sites: wall dives, shallow dives and wreck dives can be embarked upon day or night. Along the shore, there is an endless expanse of reefs and coral gardens to house an abundance of sea life. Our man-made reef is a perfect excursion for guests who are not ready for a Cayman dive. It’s convenient and gives one the underwater experience we are famous for.